There can be no doubt as to the popularity the original Team Seat Box with a staggering 750,000 sold worldwide! Now we have given the worlds best seat box an update and new look design. Still built with durable filled-polypropylene, weve improved water resistance and given it a twin catch style locking system to make sure your tackle is safe and dry. 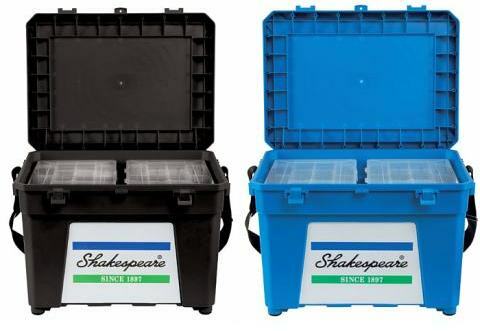 The generous box measures 51cm x 38cm x 40cm, with an extra deep lid meaning that a whole host of items can be stored within it from baits to reels. Its got the space! 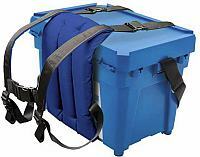 Fitted in seconds, the Sherpa requires no drillings or fixings and makes light work of carrying a heavy box. 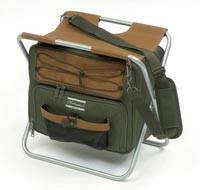 The strong, yet light system fits most tackle seat boxes. 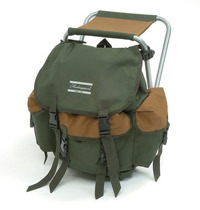 The ultra strong webbing straps fit securely around the box, whilst the padded shoulder straps and back support hold like a rucksack leaving both hands free. This improved specification model is finished in Shakespeare outdoors livery in high-quality 600D green and tan polyester. 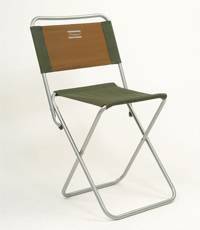 A stylish armchair suitable for many outdoor uses, the compact travel design incorporates 16mm tubular construction and 600D polyester fabric seat and arms. 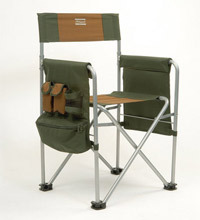  Mesh sling pockets under seat and behind the back - excellent for light storage. 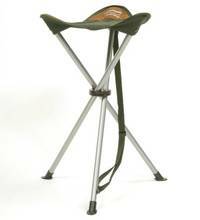  Built in drink holder 100% Nylon.  Supplied in nylon carry bag. 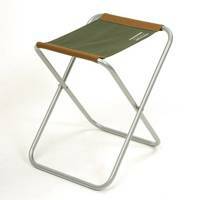  Seat Height - 40cm Closed Dimensions - 86 x 20cm.  Material : 100% PE 600D. 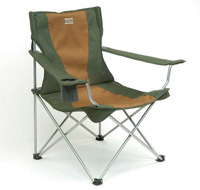 Comfortable, stylish and strong, this lightweight, multipurpose and versatile chair has everything you need for a long day on the beach or bank. With mobile phone pocket and two additional accessory pockets, deep pouch and drinks holder ... you can stay put for days!  Mobile phone/accessory pockets x 2.  Deep zip top accessory pouch.  Organiser sleeves x 2.  Finished in 600D green and tan nylon. 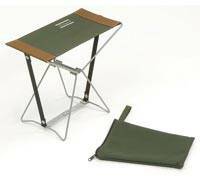  Lightweight folding stool with canvas seat and integral rucksack. 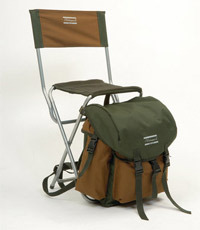  Adjustable and padded shoulder carry straps.  Main compartment secured by drawstring plusquick release buckles.  Additional 3 pockets with clip fasteners.  Folded size: 54 x 32cm. 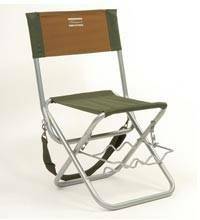 This folding chair provides the ultimate in comfort with its backrest and ample carrying rucksack attached.  Main compartment secured by drawstring.  Folded size: 57cm x 36cm.